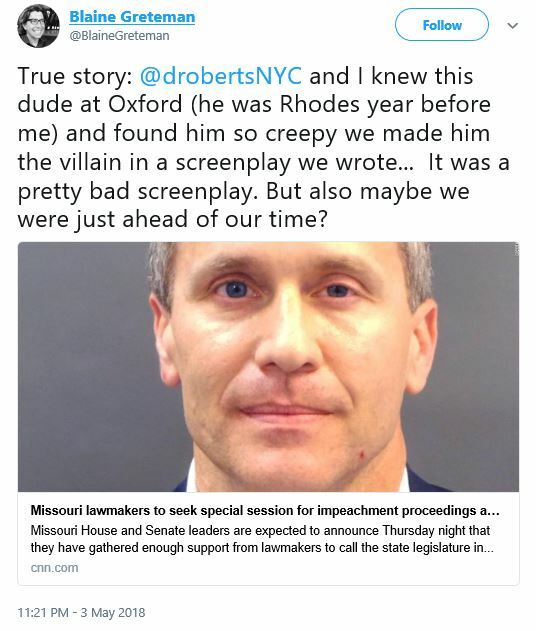 True story: @drobertsNYC and I knew this dude at Oxford (he was Rhodes year before me) and found him so creepy we made him the villain in a screenplay we wrote… It was a pretty bad screenplay. But also maybe we were just ahead of our time? Yep. He was sure creepy. Already talking about how he would be governor or president. Loved to box. Put on a suit every day to “work on his book”…. Did he wear a tie? Just asking. 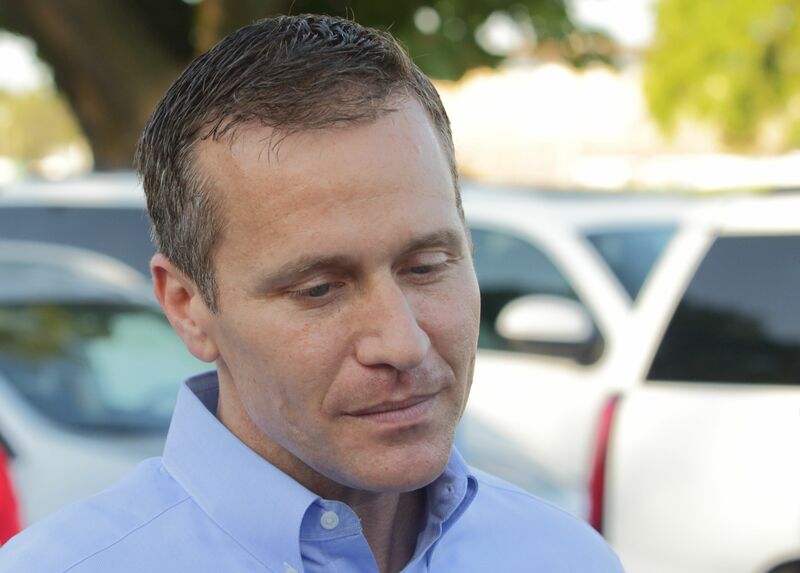 So you just now are tweeting about Governor Greitens? Pretty convenient to join the liberal bashing. The State can’t win the invasion of privacy case without the imaginary photo.